Given the complexity of the logistics involved in the Submarine Ring of Fire 2012 expedition, an apt summary of the cruise is “Whatever could go wrong didn’t go wrong”. 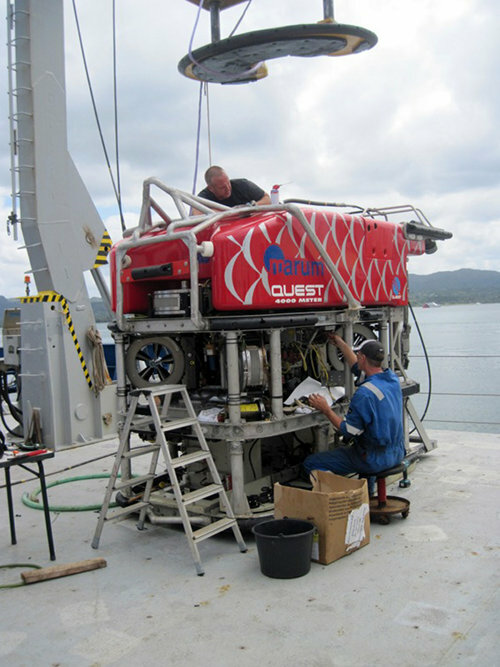 Twelve dives at nine sites were successfully made, with 98.5 hours of bottom time and 164 samples for geology, chemistry, biology and microbiology. Our planet still holds many amazing phenomena that remain to be visited, discovered and understood. 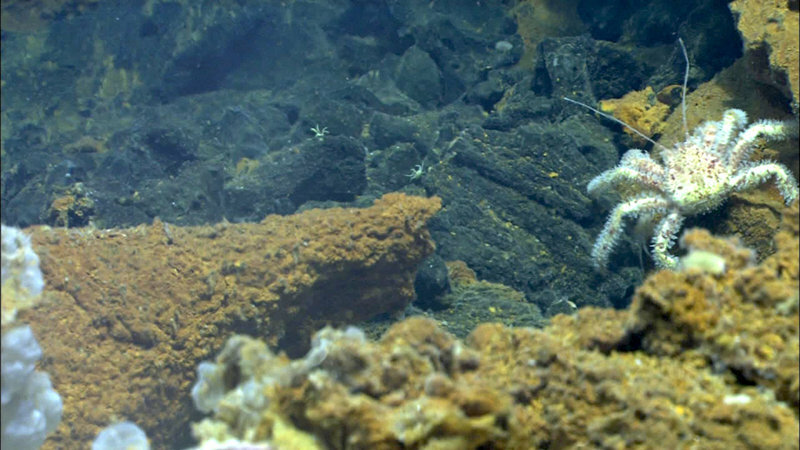 In particular, the deep ocean is hidden from view, and its unexplored places remain a major challenge to humankind. 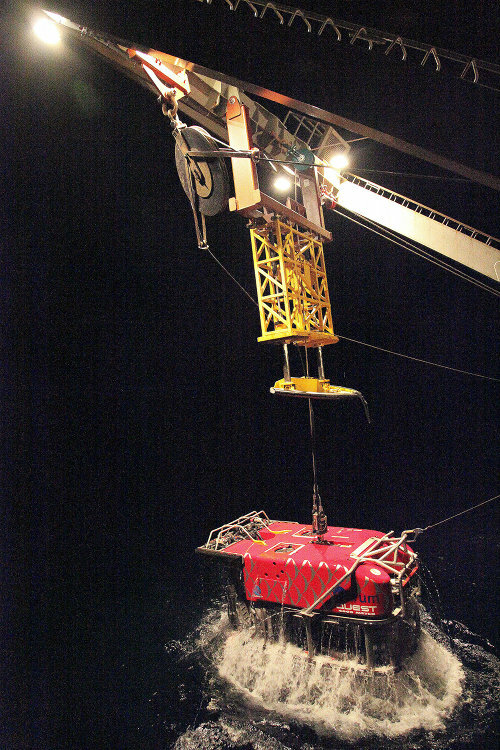 Seeing the process of planning the dive location, waiting for the ship to navigate to the site, watching the ROV enter the water and explore the seafloor, and then, at the end of that day, be able to hold a crab from 1500 or so metres depth was brilliant from start to finish. 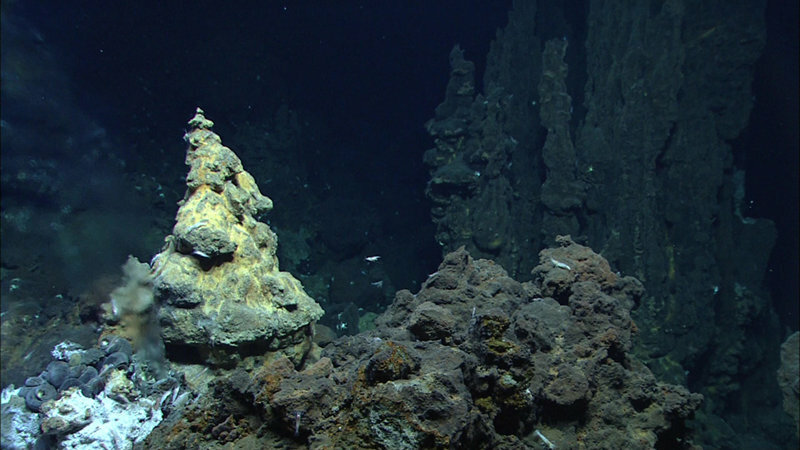 As the exploration team on the Submarine Ring of Fire Northeast Lau Basin 2012 Expedition, we follow several centuries later in the footsteps of the early explorers of this region, with a focus on submarine volcanoes and associated hydrothermal vents deep on the ocean floor. Mata Tolu didn’t disappoint, showing us an array of beautiful features during our visit. After crossing young volcanic landforms on the steep south face beneath the summit, we reached the top and discovered an active hydrothermal system surrounded by a large area of currently inactive chimneys. Mata Fitu exhibited a stunning display of high temperature hydrothermal activity, with pagoda-shaped chimneys everywhere. Niua North, on the other hand, had no chimneys. 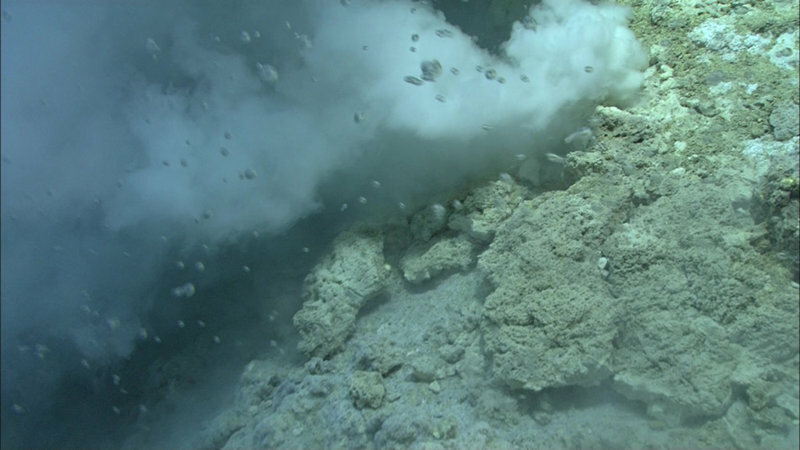 Instead it had jets of sulfur shooting out from many holes in the sediment-covered seafloor. 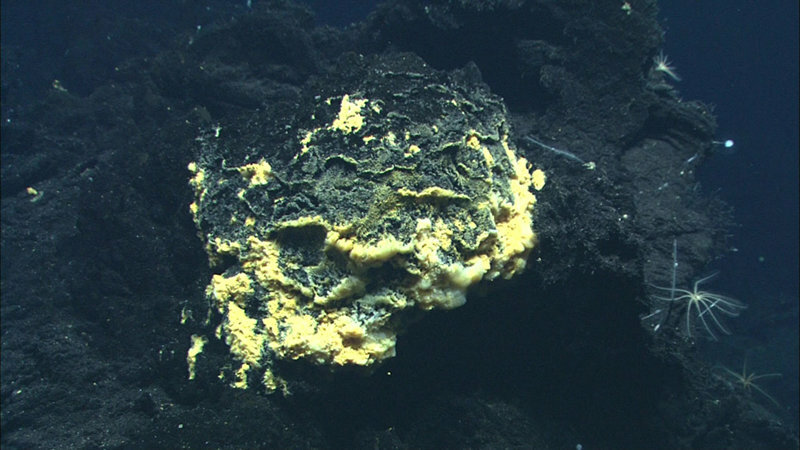 Vent systems in the deep sea have a birth, life, and death, in which vents are often created through volcanic activity and crustal cracking and often their cessation brought about by subsurface plumbing changes or through cooling of their heat source or magma chamber. Finding the bubbling crater of a terrestrial volcano poses no problem: look for the smoke using a satellite or aircraft or even your pickup truck. 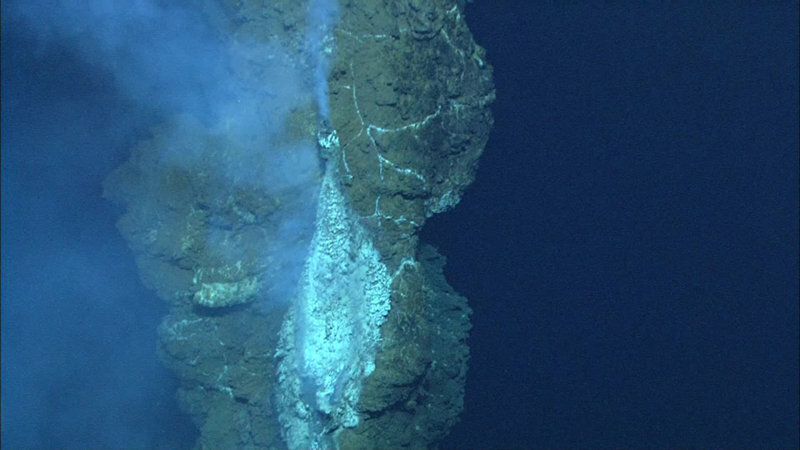 Exploration of submarine volcanoes under the opaque ocean is far more challenging. 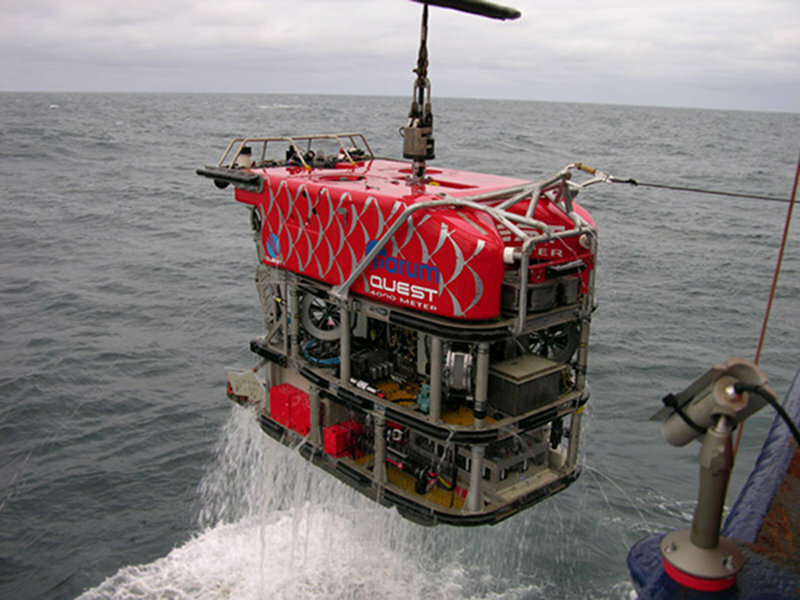 The cable-controlled ROV QUEST can dive down to 4000 meters and is equipped with a suite of sensors, such as acoustic sonar and a CTD. 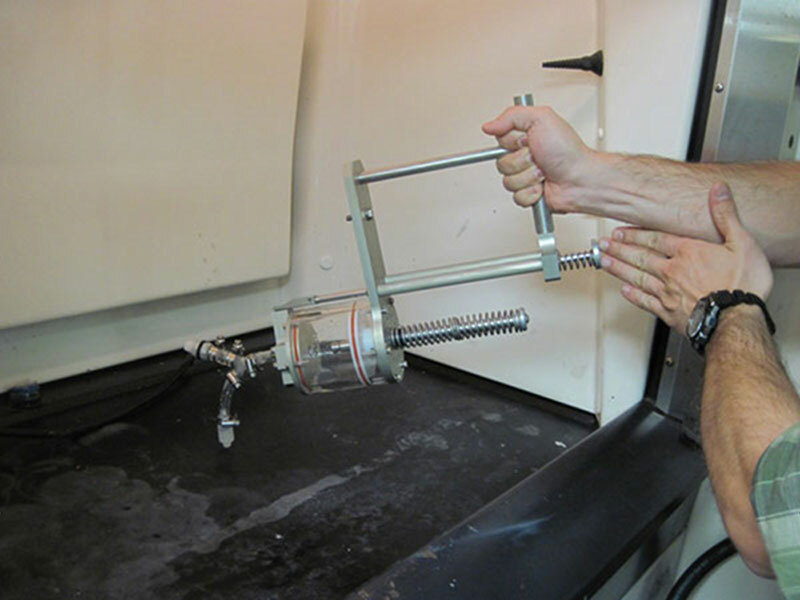 Various high-resolution cameras document the deep-sea environment with exceptional high quality and precision. 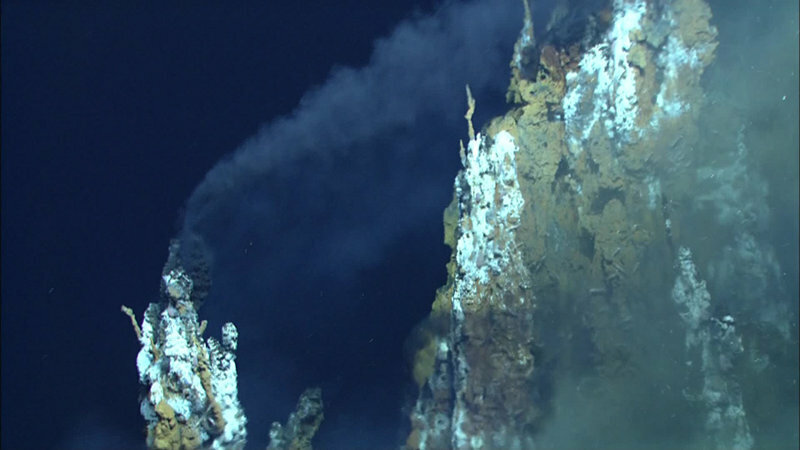 The ROV sampled vent fluids and gases coming out of the chimneys as well as a few pieces of the chimneys. 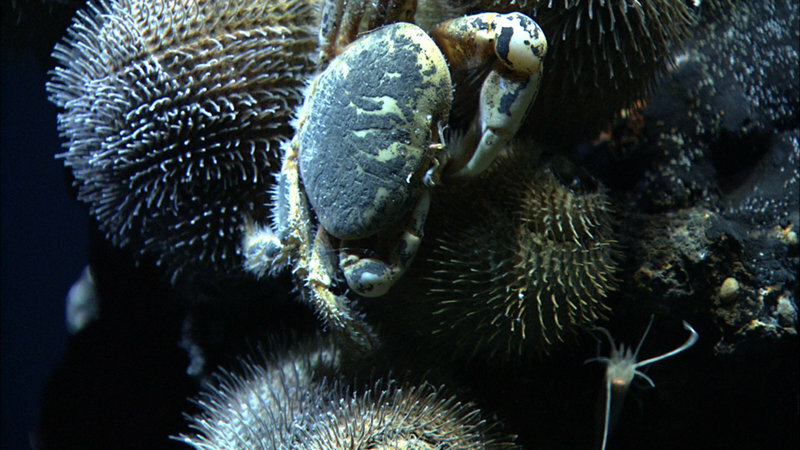 Animals living at the vent included two species of shrimp, two species of snails, limpets, scaleworms, crabs, squat lobsters, eelpouts, and barnacles. 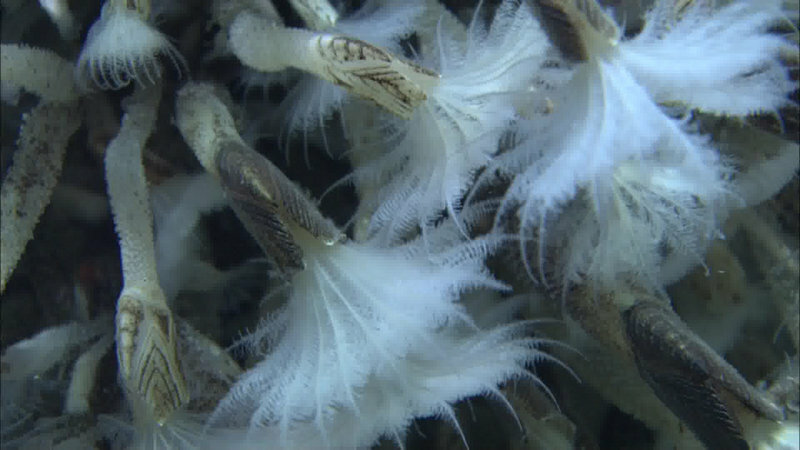 We had discovered yet another spectacular oasis in the deep sea. What’s Been Happening on West Mata? 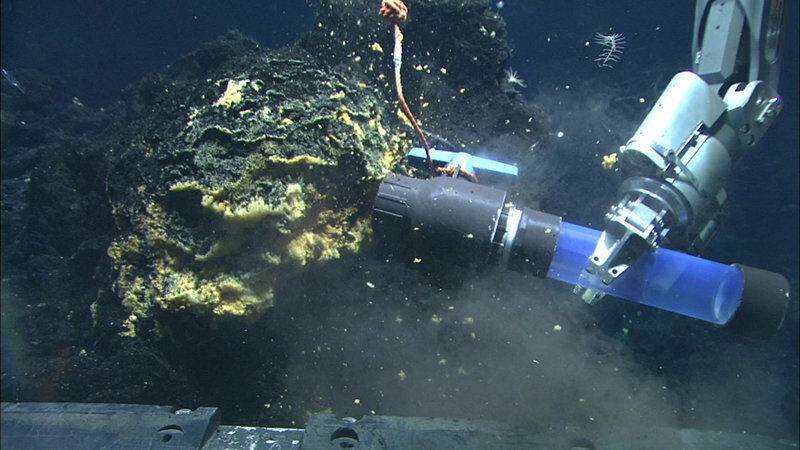 A hydrophone and other instruments placed on the vertical mooring (the top has a large float to hold it vertical) have been recording for more than two years, and we hope these recordings contain critical new information about the nearby submarine volcano, West Mata. 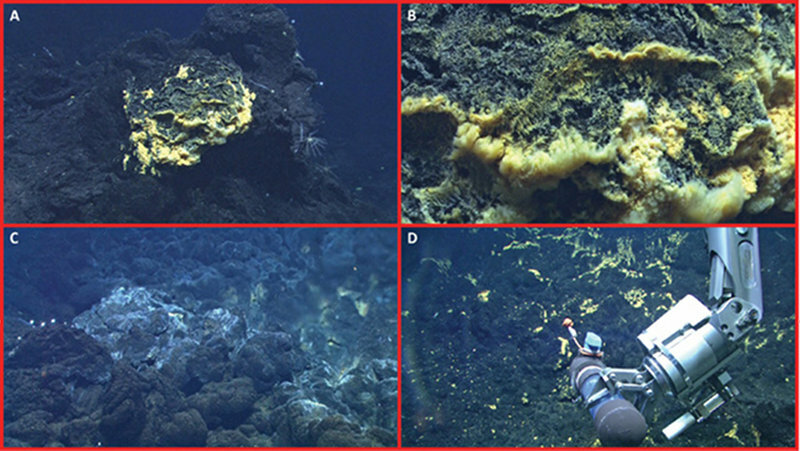 Submarine exploration over the past decade has shown the Northeast Lau Basin to be one of the most intensively active regions on the surface of the Earth, with rapid crustal extension, numerous volcanic vents of both focused- and rift-like character, and multiple hydrothermal sources. 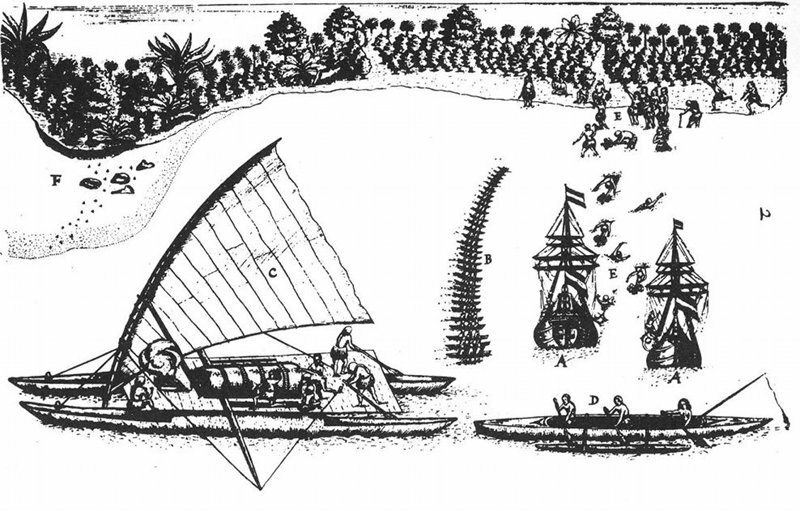 Volcano O is the most captivating feature on a map of the Northeast Lau Basin, sitting enigmatically between the volcanic arc and the backarc NE Lau spreading center. At 15 km across and nearly perfectly circular, it certainly catches the eye. 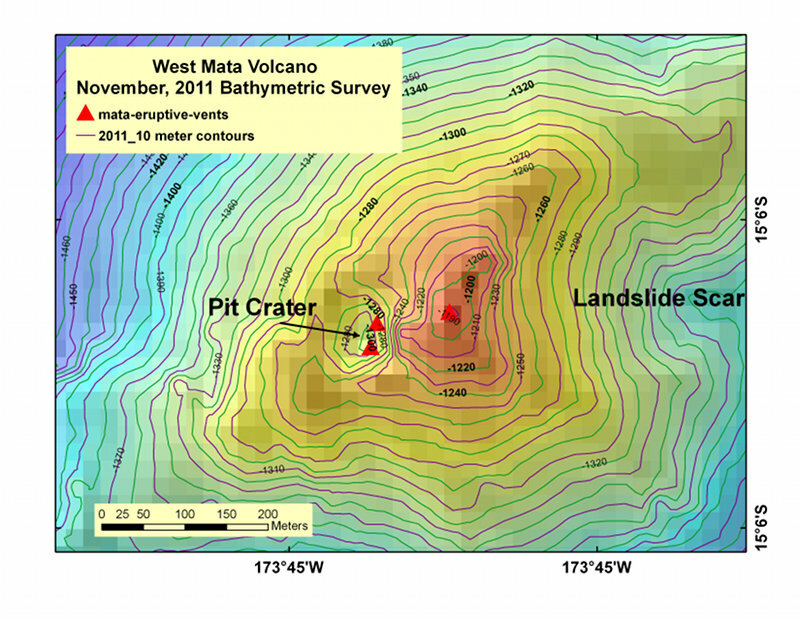 Our dive at Volcano O focused on the central cone near the summit, which is interpreted to be the site of the most recent volcanism. The R/V Roger Revelle transited northwards to one of the most remarkable volcanic structures on Earth: a giant near-circular caldera ~15 km in diameter, colloquially known as “Volcano O“, with a floor at a depth of about 2000m, and a young cone in the southeast sector rising 730m above the floor to a summit at 1270m depth below sea level. 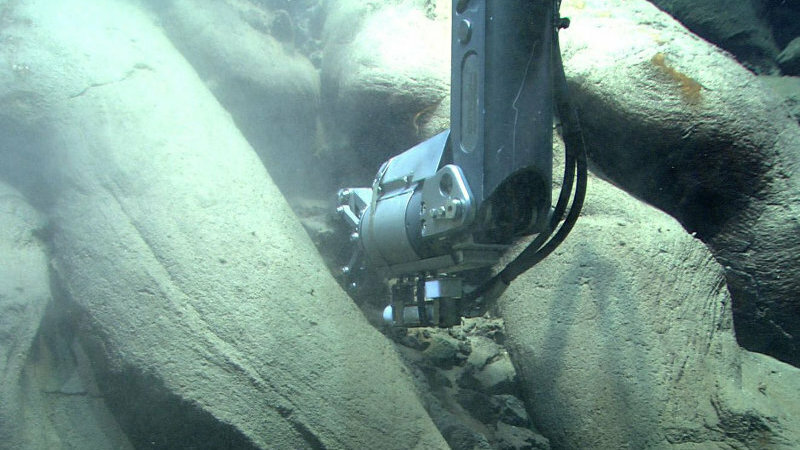 Shortly after arriving on the seafloor at a depth of 975 meters this morning, the cameras mounted on MARUM’s Quest 4000 revealed small lava towers approximately 5-10 m in height with steep walls rising from the seafloor at Fonualei Rift. 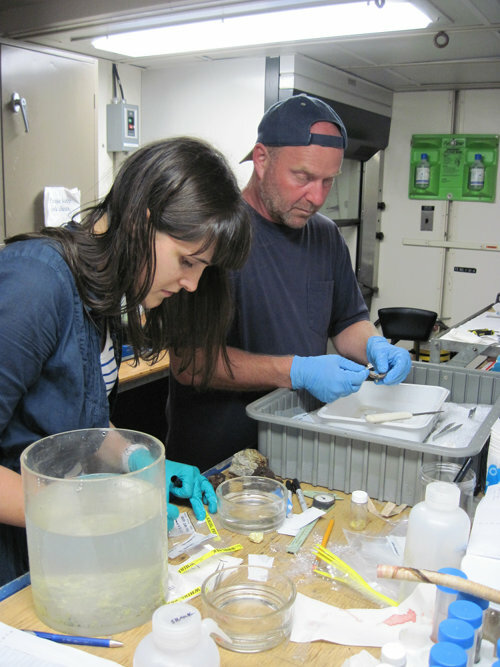 Our Quest 4000 dive (Q322) to find iron- and manganese-oxidizing microbial mats proved to be a great success. 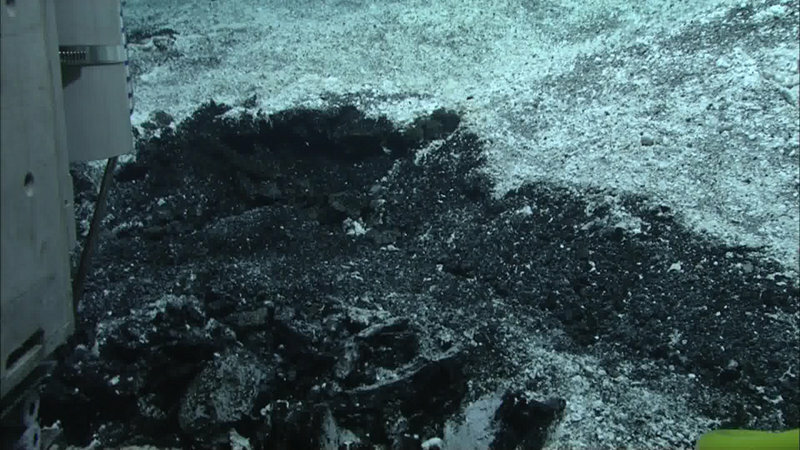 From previous cruises and surveys we had a pretty good navigational fix on where to find these mats, and within about an hour of the ROV reaching the bottom we had discovered what we were looking for. The R/V Roger Revelle arrived at the first exploration target, Vai Lili, in the early morning hours of September 11, 2012, with the science team looking forward to exploring bacterial mats and collecting samples from hydrothermal vents at this vent field located on the central Valu Fa Ridge in the Lau Basin. Holothuroids, also called sea cucumbers, are an unusual class of the unusual phylum Echinodermata, which literally means animals with spiny skins.